Your local and trusted dealer for Mazda vehicles and services is Drift Bridge. Visit our Purley, Croydon dealership today to receive the finest care and advice, find your next Mazda car or take care of your current model. Alongside the range of cars available in our showroom, we can provide aftercare including fixed-price servicing and maintenance, replacement Mazda parts, MOT testing and new tyres. No matter which model, service or accessory you need, our regular special offers mean that we’re always competitive on price. Customers looking for approved used cars can have total peace of mind in the quality and reliability of their chosen Mazda. The selection frequently includes cars such as the Mazda3, CX-5 and the Mazda2. We test every model, confirming its history and that it runs at its best. As we’re an authorised Mazda representative, you’ll also enjoy extended cover and warranties as if you’d purchased your car new. At any time during your ownership of a Mazda vehicle, you can bring it to our on-site Mazda service centre for manufacturer-approved maintenance. 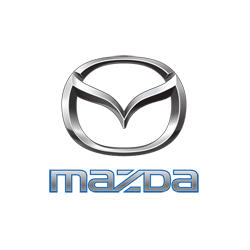 Our technicians are fully trained to know your model inside and out, and we use state-of-the-art equipment and genuine Mazda parts for all works. You can choose parts separately whenever you need them, arrange an MOT or set up a fixed service plan for your preferred length of time.